Easy Individual Beef Wellingtons & Some TV Commercial News! My mother had a book when we were young that was a little forbidden to us. I used to pore over it staring wide eyed at the glossy pages, probably slack jawed and drooling. It was stored under the staircase, hidden away slightly from prying and jammy children's fingers. It was an enormous tome and I don't even remember the name of it. And in it were a range of recipes that we were never really going to eat as my father had a strict "Chinese food only" policy. They had rack of lamb, buttery cakes, cherries jubilee and a Beef Wellington with it's burnished golden exterior and pink interior. The full coloured photo pages are probably worn and dog eared from a hungry and curious child and I confess the book has my fingerprints all over it. 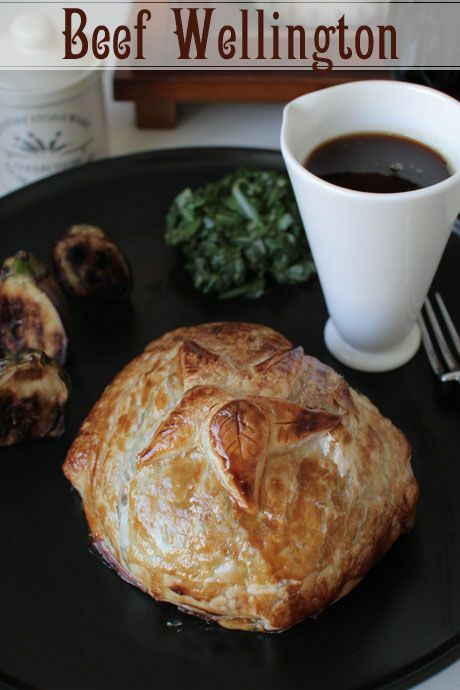 Beef Wellington is usually a tenderloin topped with foie gras and mushroom duxelles-don't let the term duxelle scare you as it did me. It is simply finely chopped mushrooms, onion and herbs cooked in butter to resemble a paste. It is then wrapped in puff pastry and baked. I've seen and eaten Beef Wellington at restaurants and they always seem to slice it off a larger piece of beef. I've even seen it on a menu where it has to be ordered a day in advance so I always assumed that it was hard to do. But since there are just the two of us and I don't seem to have the necessary forethought to order things in advance, I wanted to attempt to make one for two people. Actually individual people as I wanted to wrap each piece of beef in pastry. See how sneaky I am? This means more pastry! Stick with me and I'll always give you more pastry... ;) . I know that for most of you, you do want regular, easy to make recipes. This Beef Wellington is it. It's quite easy to serve this at a dinner party and you could certainly prepare it ahead of time, even going as far as the pre oven stage but equally, it is so simple you could do it on a week night for just the two of you. I was curious to see how it would taste and I can resoundingly say that as a buttery pastry lover I prefer this version to a regular Beef Wellington. 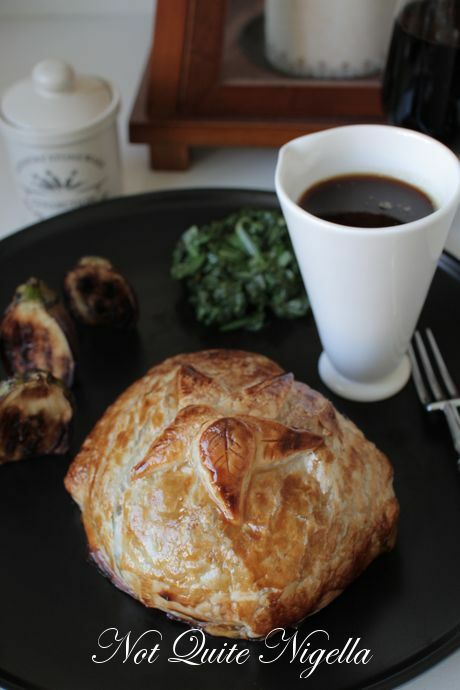 I served this with a simple classic jus and some halved pan fried baby eggplants and the buttery pastry, aromatic mushrooms and tender beef were delicious together. Some things are better shared yes but some things, are best eaten individually, especially as far as pastry is concerned. So tell me Dear Reader, was there ever a dish that you always wanted to eat but were never allowed to when you were young? And I know I wasn't allowed to tell you any details about the television commercial but now I can tell you more about it! 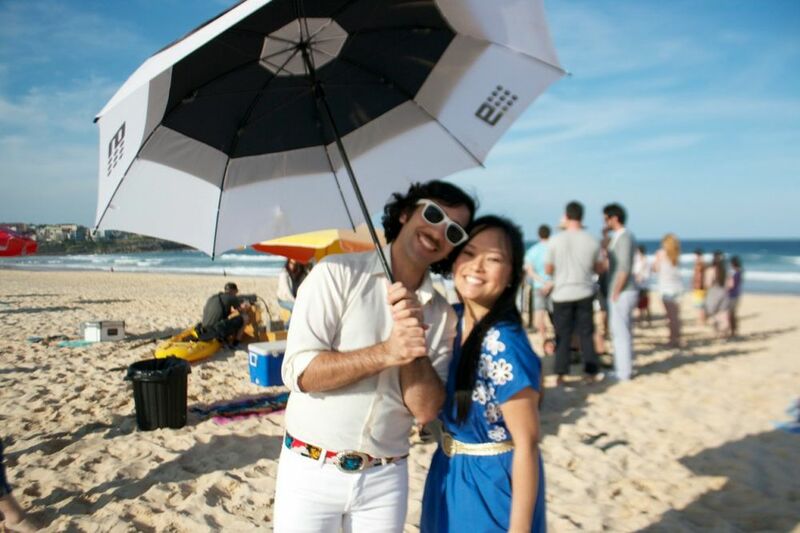 I filmed an ad for Streets Cornetto for their latest Summer campaign! The facebook page is here and they'll slowly unveil details of the ad as well as some rather cool prizes that I am giving away. Hint hint, one of the items I'm giving away is something that many people would like to own. Ok sorry that was way too vague wasn't it? OK it starts with "i" and ends in "pad" :P.
Serve with: mashed potato or vegetables of your choice. 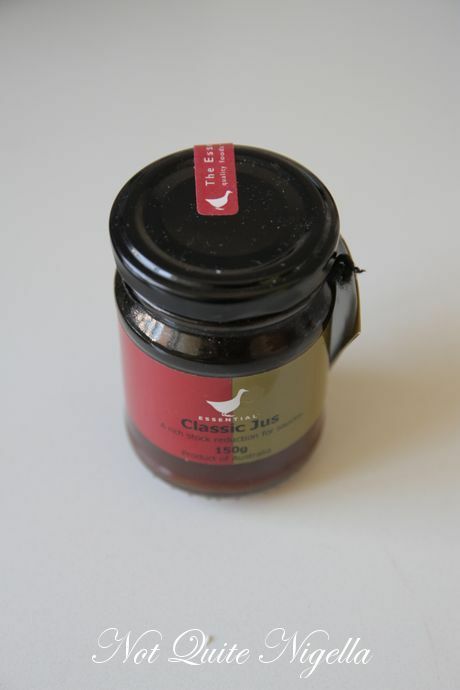 I also like this with jus-I used The Essential Ingredient's Classic Jus. 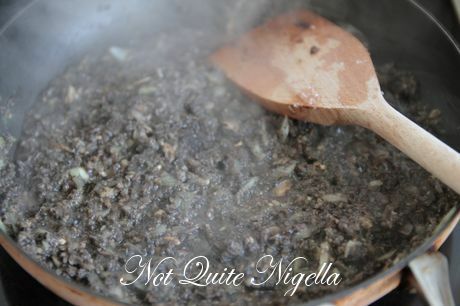 Step 1 - Firstly make the mushroom duxelles. In a food processor, whiz up the mushroom and onion until it is in small pieces. Heat a frypan on medium heat and add butter and garlic oil. 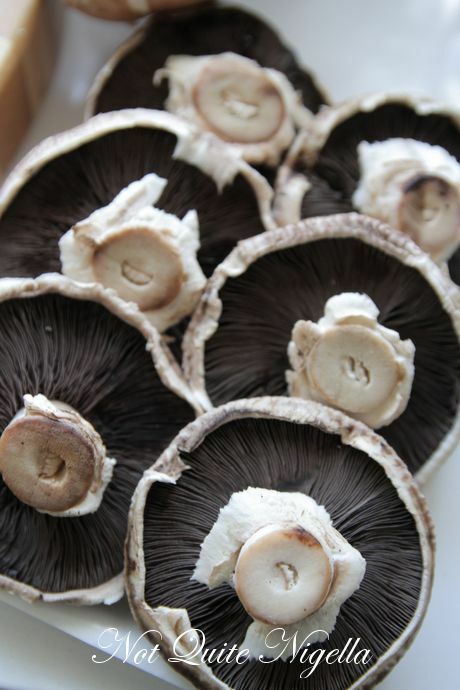 Fry the mushrooms and thyme until fragrant and add red wine and cook this off (about 8-10 minutes total). The drain the mushroom mix in a sieve lined with paper towels to get rid of all of the excess liquid. You can use this liquid in a soup. Step 2 - Preheat oven to 220C/440F and line a baking tray with parchment. 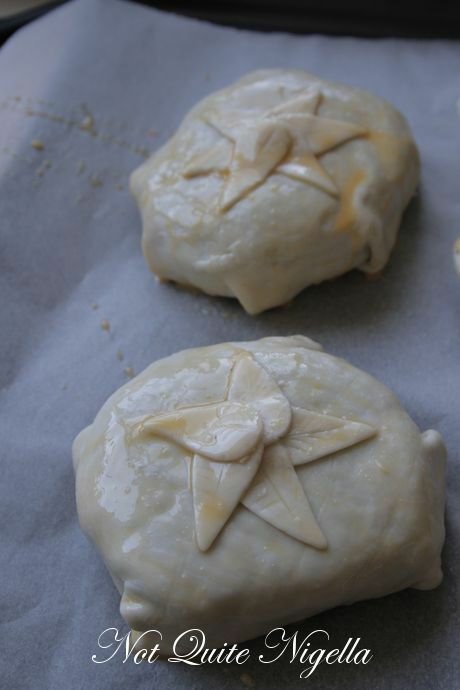 Take out puff pastry from the freezer and allow to thaw. Season the beef fillets with salt and pepper. In a clean frypan heat on medium to high and sear the edges of the steak only. 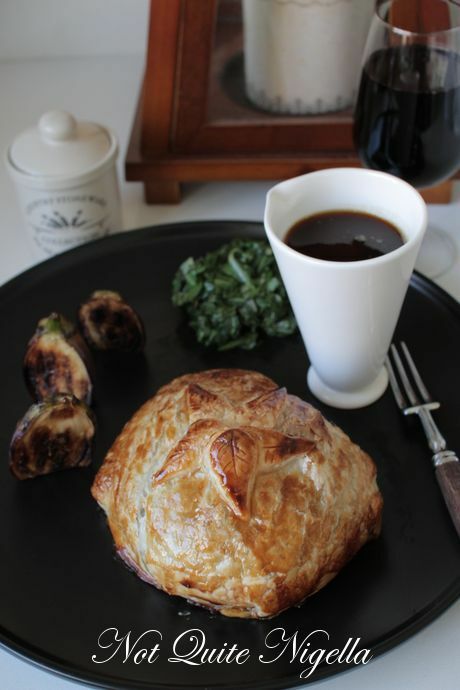 Place the beef fillet on the puff pastry and top with the mushroom duxelle mixture. Seal it up at the ends cutting off any corners that you don't need. You can cut out shapes using the extra scraps and place them on top. 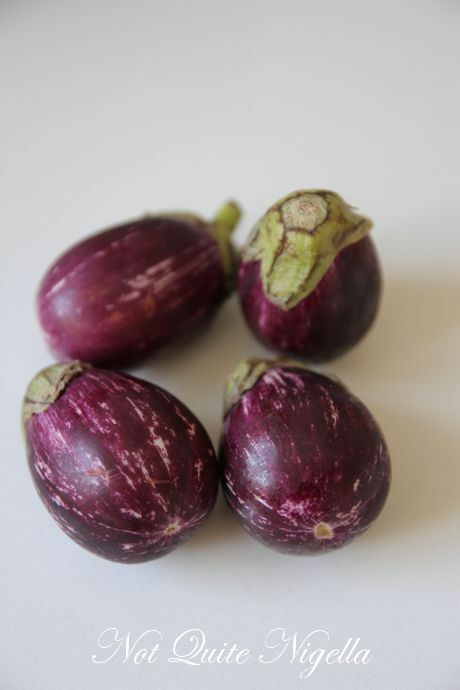 If you are making this ahead of time for a dinner party, you can cover these with cling wrap and refrigerate them for a few hours until needed. Just egg glaze them just before you put them in (see below). Step 3 - Brush the top of the Wellingtons with the egg yolk and milk mixture. I usually put the pastry in the fridge a bit to chill as puff pastry tastes better when baked from chilled in a super hot oven. I also reroll the scraps of pastry and fill it with the leftover duxelle mixture and bake those too (chef's treat!). Bake for 20 minutes until pastry is golden. Serve immediately. featureTrailer Park Shepherd's Pie & Win 1 of 5 Copies of "Mosh Potatoes" The Heavy Metal Cookbook. Rated: A.O. feature Trailer Park Shepherd's Pie & Win 1 of 5 Copies of "Mosh Potatoes" The Heavy Metal Cookbook. Rated: A.O.